The KitRUM Software Engineering team is constantly in the middle of learning and implementing new techniques and approaches for building software systems, including project management, quality assurance, and software testing. We genuinely care about bringing you fast business growth and the type of success you dreamed of as a kid. Rock solid results, complete openness, responsibility, our team always counts on these values while cooperating with customers. We are doers; that’s why we are focused mostly on functional values, leaving all redundant things behind. 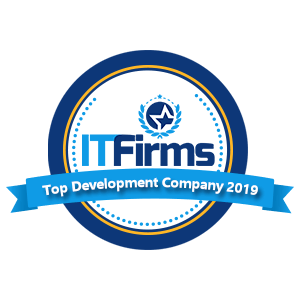 KitRUM team connects Client business needs and project requirements to up-to-date software technologies. KitRUM Engineers play an active role as leaders, consultants and individual contributors on various stages of clients’ projects. We use the latest engineering concepts to create software. Our team has technical expertise, demonstrable personal accomplishments, and experience with using open source tools and projects. We are proficient with pattern design and automated testing. KitRUM Engineers are experienced in creating and maintaining IT architecture and cloud-based systems. We use our own skills, and we are keen to work with other remote teams hired by clients. Our stack of software engineering technologies is impressive. If you are interested in the hands-on approach that would cover the overall life cycle of building and maintaining software, tell us about your business and KitRUM team will do our best to provide you with a solution that will fit your business needs.